I love tea. I drink a whole pot of it in the morning. Some of you got an insight into breakfast chez Chéri & moi this past winter. I find that it wakes me up gently, quenches my thirst and offers me a delightful indulgence for the papilles (taste buds in French…it sounds better). 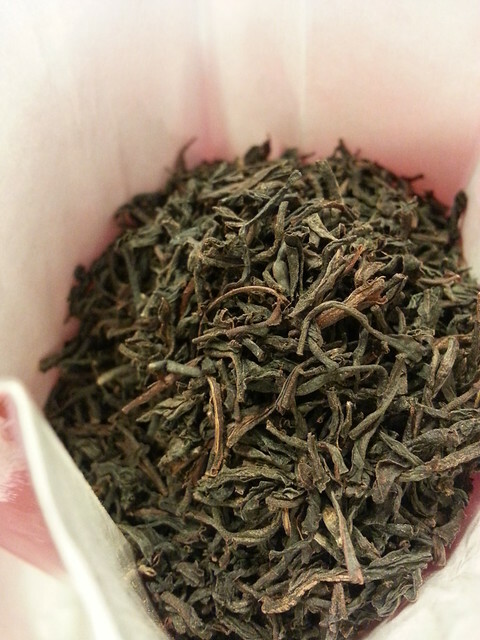 I do like to indulge in Mariage Frères teas, as you may have read about here before. But with the amount of tea that I consume, that could quickly become quite expensive. So I have scouted out some address in the city where I get high quality teas at a slightly lower price, and then I don’t feel the need to skimp on dosage. 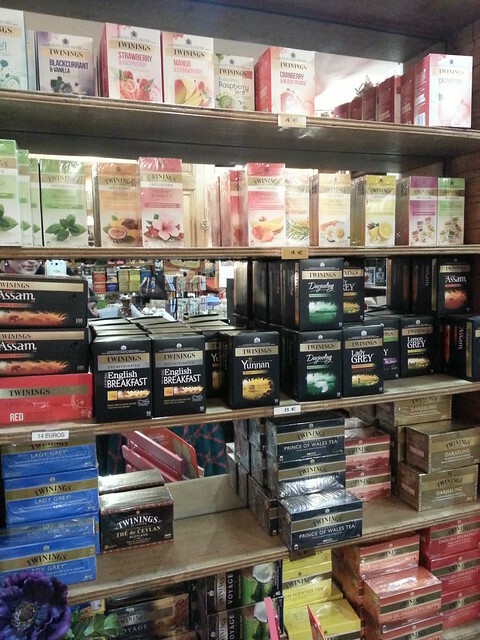 This is where we get large amounts of their “Prince Vladmir” tea, that is my morning drug. 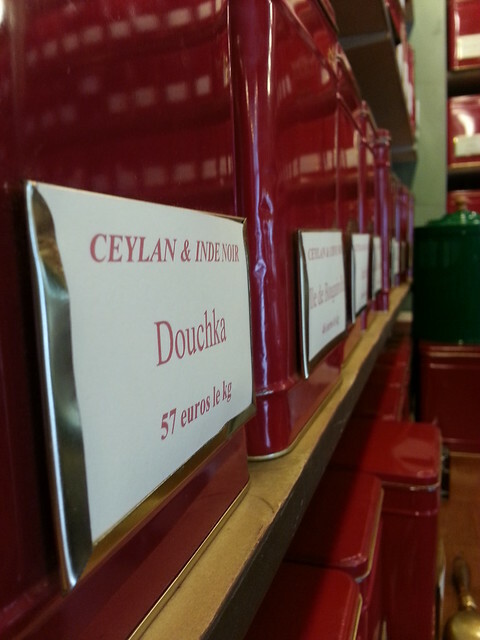 And when I’m out of that or feel like a change I steep a pot of their Organic Ceylan black tea. But this is also a great place for coffee lovers to get their grains. And while you are at it grab some sweet bites to go along with your afternoon tea or café gourmand! Monsieur Guiraud can be a little gruff if you are in a hurry. So don’t be. take the time to chat tea steeping and coffee brewing with him. He may not let you get much of a word in edgewise but at least you’ll leave with a head ful of advice for how to make even better tea (or coffee). It’s nice to still have contact with merchants who love the products they sell, who own their own business and who will actually take the time to converse with you about their wares. We have to take advantage of that while it still exists. Someday in the not too distant future, there will only be chain stores selling industrial products that have little to no real taste or nutritional value. (Sorry, for more ranting go here). 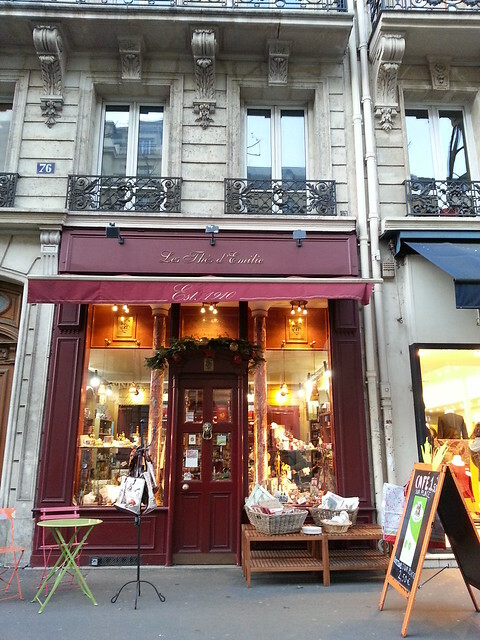 The second address is Les Thés D’Emilie, 76 bd Haussmann 75008, and has been an address for tea for over 100 years, since 1910. The owner, (Emilie I am assuming) told me that it is the oldest tea boutique in Paris… I have yet to verify that claim, but I’ll take her word on it until I hear otherwise! 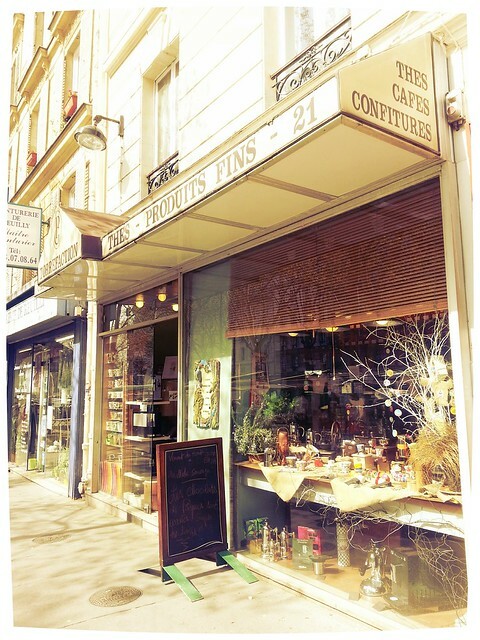 The boutique was opened in 1910 by a member of the Twinnings family, right next to the large department stores and just in time for one of those amazing World Fairs that Paris used to host. Now it’s Emilie’s shop and she sells mostly Twinnings teas, and I know it is a LARGE INDUSTRIAL BRAND but it’s still some of the best tea in England right? and the really interesting flavors are so hard to find in France. (Here’s a tad of history on Twinnings). 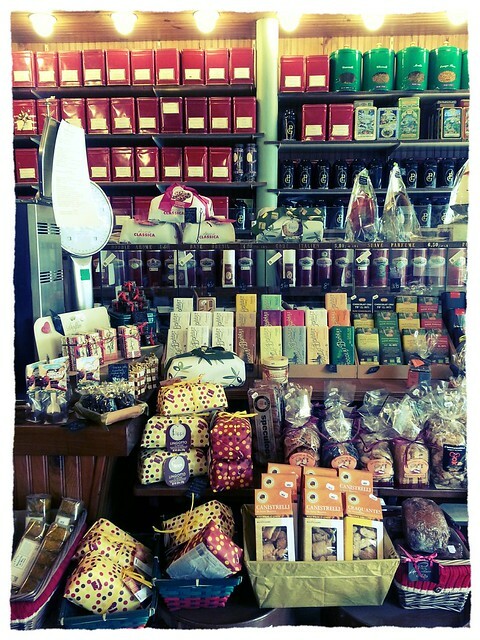 Emilie sells the good stuff that is hard to find except in London. And another brand called Les Deux Marmottes (A French brand). 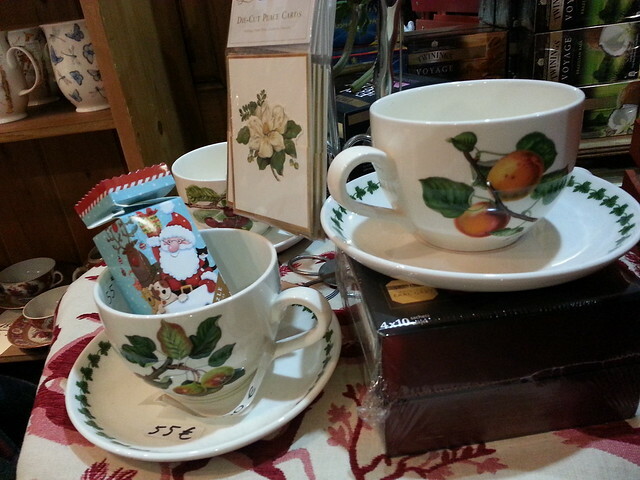 Plus she has ALL the tea paraphernalia you could imagine (and probably some you didn’t know existed either). You’ll leave her store almost as enchanted as the British were when they fist discovered tea in the late 17th century / early 18th century. And because she’s super nice, she also offers a cup of café for 1 euro or a cup of tea that you can sip sur place and chat with her cheerful self or take away with you. I think I’ll go make myself a cup of tea now. Writing this article has made me thirsty!